The Boundary Waters Canoe Area Wilderness (BWCAW) controversy remains today the most volatile, hotly debated Minnesota environmental issue in recent decades. In the 1970s, one crisis after another threatened the area—mining, logging, motorized use—all of which led to a major national congressional battle beginning in 1975. 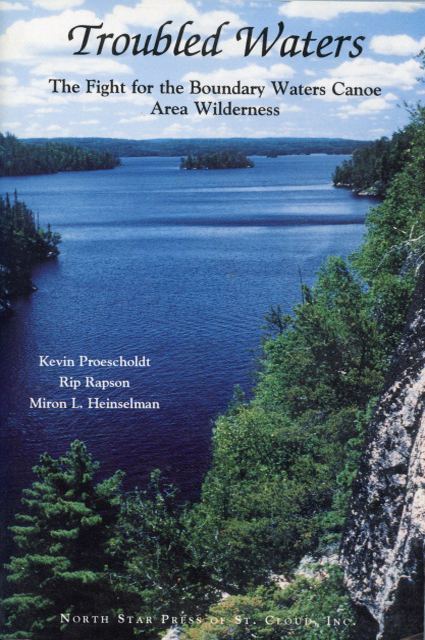 Today controversies continue to swirl around the BWCA Wilderness, our nation’s most popular wilderness. Troubled Waters: The Fight for the Boundary Waters Canoe Area Wilderness describes the turbulent and controversial conservation history of the BWCAW, focusing on the explosive struggle from 1975 to 1978 to pass the BWCAW Act through Congress.